Best Moisturizer for Dry Sensitive Skin, Wrinkles, Eczema, Acne and Hair. Some people call our Raw Jojoba Oil a miracle in a bottle, but we don’t have to refer to it as magic when the science explains how effective it can be for your face, body and hair. From acne, reducing fine lines and wrinkles, to moisturizing and the glow of your skin and hair, our Organic Jojoba Oil does it all. It helps with frizz and dry hair, leaving you with a nice hair shine, improves your lips or cuticles, is a great makeup remover and the best moisturizer for even the most sensitive skin. Let it perform its wonders on your face and body. Prepare against cold weather, dry skin and eczema by using our Clear Jojoba Oil to moisturize, repair and protect your skin. You will notice how light it feels on your skin, leaving no oily residue behind, and no unpleasant smell. You deserve softer, supple, silky smooth skin and we are making it possible for you to get it. While other Jojoba oils on the market are known for leaving oily residue on the skin or hair, causing breakouts and irritations to sensitive skin, our superior sourcing process insures that Natural Beauty & Health‘s Jojoba Oil is 100% pure, organic, cold pressed unrefined. What you get is the highest quality, purest product, from a company who cares about you and your needs. Our oil absorbs instantly, living your skin velvety soft and your hair shinning beautifully. A few drops go a long way. Try it and you’ll love the results. Your family and friends will love you for sharing it with them. Directions: Apply a few drops to skin and massage to moisturize dry skin, reduce fine lines and wrinkles, improve acne, eczema, stretch marks and other skin problems. Apply a small amount to hair, to treat split ends, dullness, protect from heat, and give a lustrous shine. Add a tablespoon to shampoo and conditioner for a healthier hair. Add a tablespoon to bodywash or your favorite skin care product for a healthier skin. Keep up to date with new information and coupon offers by visiting the Raw Jojoba page. We appreciate your feedback regarding your experience using this product and welcome your comments on the FB page. 1. Face moisturizer daily or overnight – use daily, under makeup, or at night, as it absorbs perfectly, without any oily residue. Use 4-6 drops on your skin. It will leave your skin moist and soft. 3. Hair conditioner – it will not only restore moisture to your hair… but get rid of dandruff as well. Your hair will shine like never before and feel soft like silk after just a couple of uses. 4. Shaving gel – try it out instead of your regular shaving gel. You’ll find that it makes your skin smoother and feels like your razor is just gliding over your skin – while removing every little hair. Oh and when you’re done… there will be no razor burn or skin redness. 5. Hair growth serum – another amazing effect is unclogging hair follicles, reducing hair loss and promoting hair growth, as well as protecting your hair from split ends, breakage and other future damage. 6. Facial cleanser – instead of going through bottles of expensive facial cleanser per year, why not just use a few drops of our Jojoba Oil on your face, let it set and then just rinse off or remove with a cotton ball. It’s that simple! 7. Foot cream – if the soles of your feet have dry and cracked areas, spread a few drops and feel the difference immediately! Plus, you can use it as a scar and stretch mark reducer, anti-acne, anti-fungal, nail cuticle oil and much more. 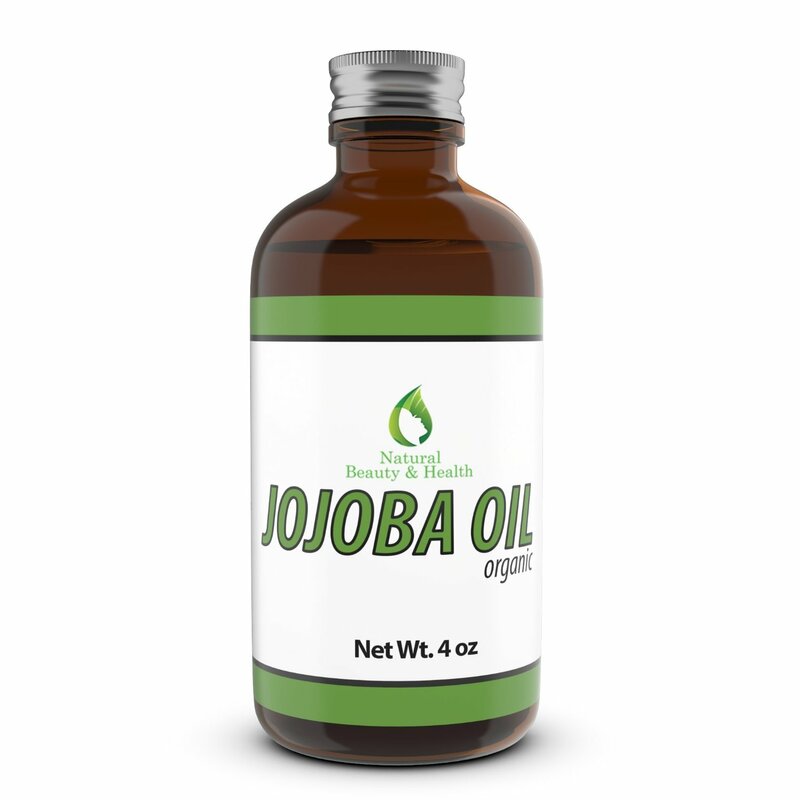 Our Organic Raw Jojoba Oil is one of nature’s amazing gifts. Make sure you take advantage of all the possibilities it offers.